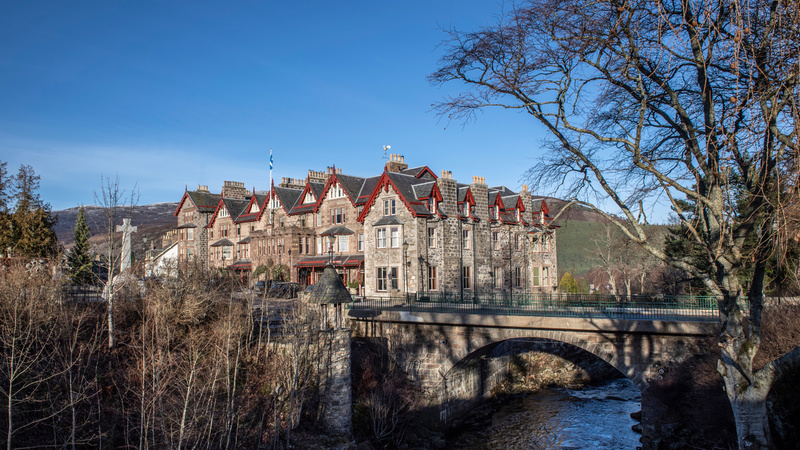 At the heart of the Cairgorms National Park in Royal Deeside, Scotland, and surrounded by enchanting highland scenery is the recently re-opened Fife Arms, Braemar. 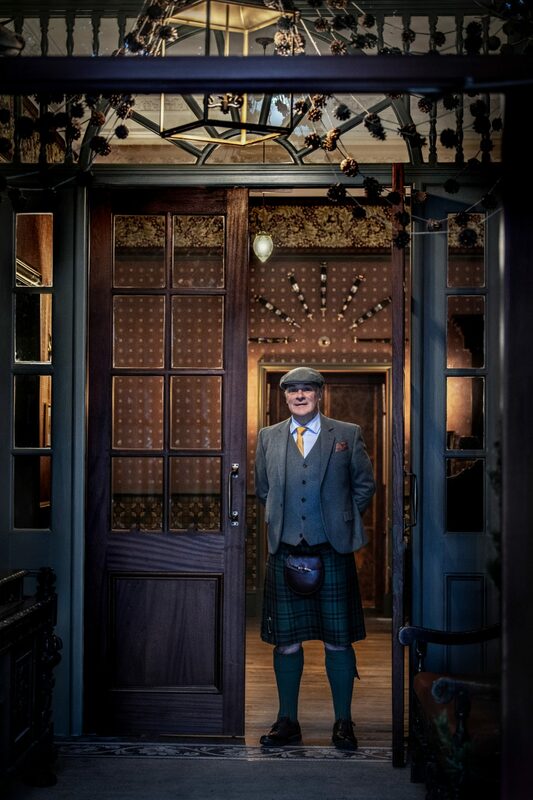 Designed and built in the 19th century by architect Alexander Mackenzie (known for prestigious London projects including the Waldorf Astoria and Australia House), he created what has become a much loved Braemar landmark – famously visited by Queen Victoria no less – and the hotel now has new life breathed into it courtesy of new owners Iwan and Manuela Wirth. 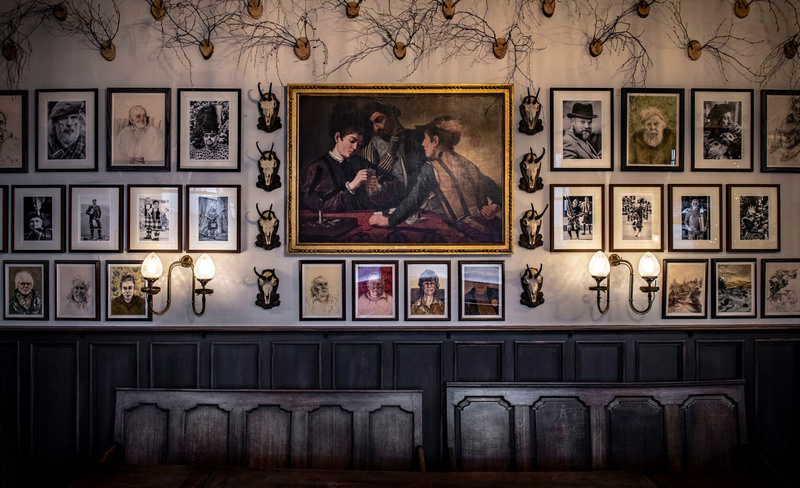 Iwan and Manuela Wirth, co-presidents of internationally acclaimed art gallery Hauser and Wirth, have transformed the Fife Arms with sensitivity and a profound respect for Braemar’s rich cultural connections, history and strong sense of community. All of which has been channelled in to the newly opened hotel with a pinch of Iwan and Manuala’s passion for heritage and craft. 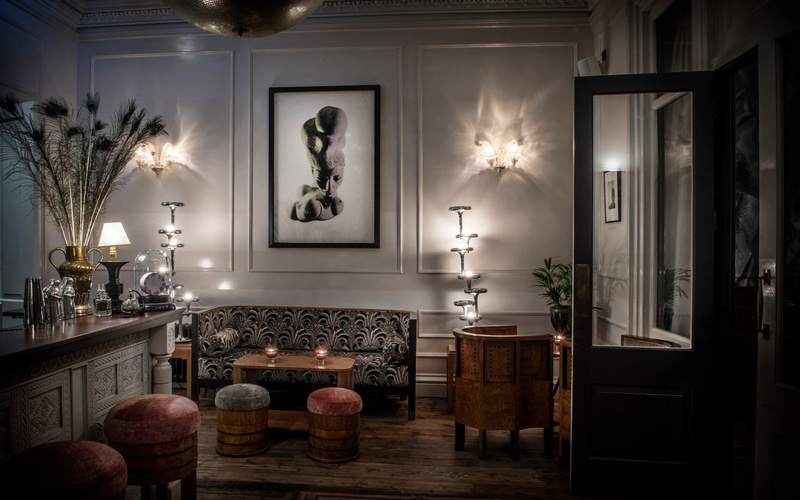 The Fife Arms contains over 14,000 antiques, artworks and furnishings acquired during the restoration of the property including several special works specifically for the hotel by world renowned contemporary artists that Iwan and Manuela felt they had an affinity with. The result is a deeply authentic experience in comfortable and luxurious surroundings. 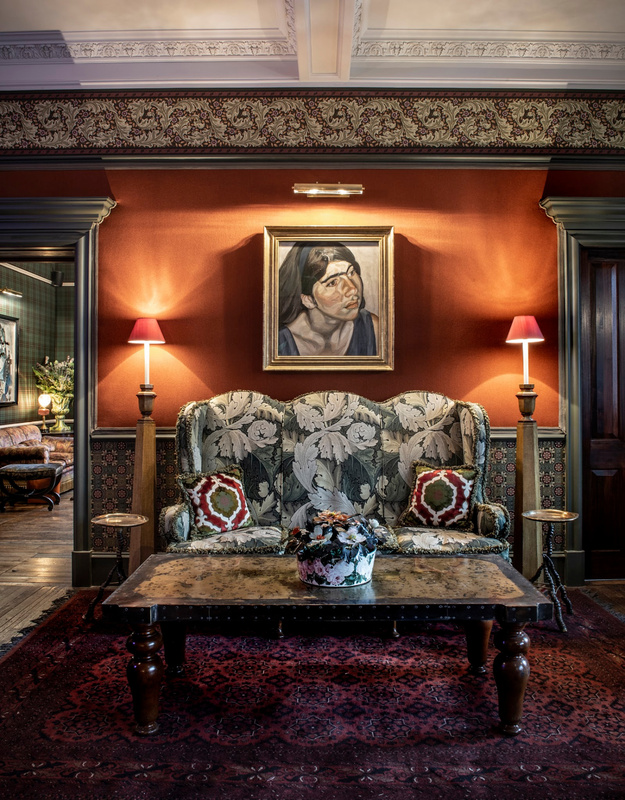 To get the very best out of your experience here, you can partake is one of the Fife Arm’s offers regular art tours that help guests to take in some of the hotels highlights including works by Pablo Picasso, Lucian Freud, Louise Bourgeois and even HM Queen Victoria. One thing we can guarantee is that you will not get bored. 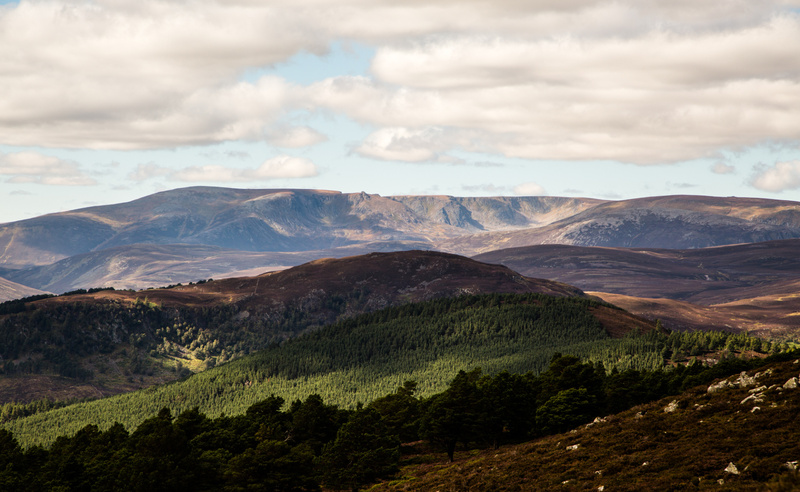 As well as art tours there is plethora of things to do, for example; you can take a gentle walk or bracing hike in the Cairngorms National Park nearby, popular walks include the Queen’s Drive and The River Walk with breathtaking views over the Braemar landscape. Wellies and waterproofs are available for guests to use and can be located in the boot room along with maps. The weekends bring cultural events with talks, workshops, take a history & nature tour from Braemar Castle to Balmoral or take a foraging walk with the hotel’s in-house forager Natasha Lloyd. Culardoch Shieling is an award winning lunch hut on the moors of a nearby estate and the hut is available at certain times of the year for lunch parties about 45 minutes from the hotel. Golf, fishing and helicopter rides are also on the extensive list. Everything about The Fife Arms is utterly unique and intriguing. Every piece of furniture, artwork and even the fabrics chosen feel like they have a story to tell and the 46 bedrooms are no different. 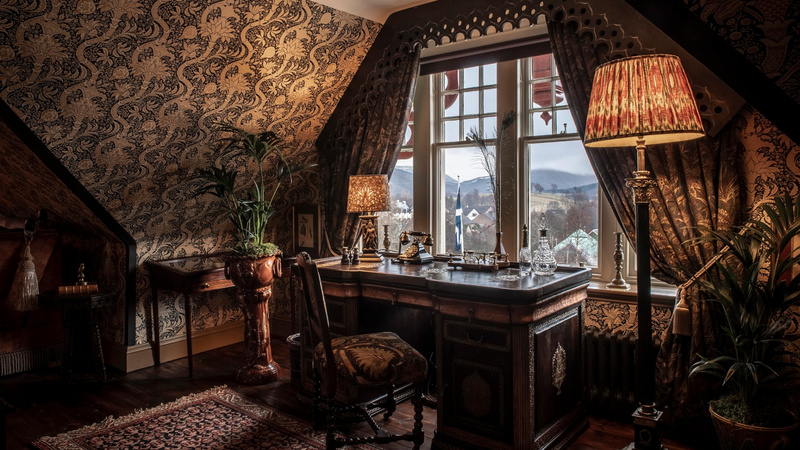 The Royal suites inspired by notable visitors to Braemar have views over the surrounding landscape and are handsomely furnished with some objects once belonging to the historic figures that inspired them. 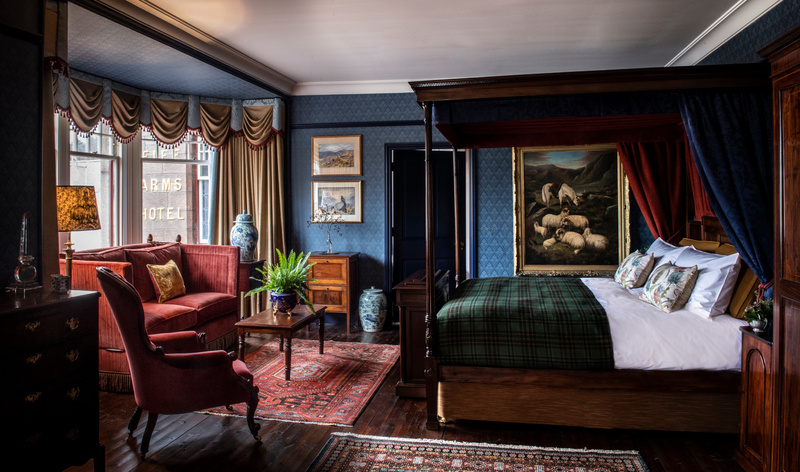 The Victorian Suites reflect the hotel’s history as a 19th century coaching inn with opulent antique furnishings, period wallpaper and original artwork. Scottish culture rooms are inspired by everything from literature to engineering, exploration, science and the arts. Whilst the Nature & poetry rooms have been created to reflect the grandeur of natural Scottish landscapes, writers and poets with an abundance of natural materials used such as heather, horn and tweed. For more of an artistic escape you can also stay in the Artist’s Studio room. 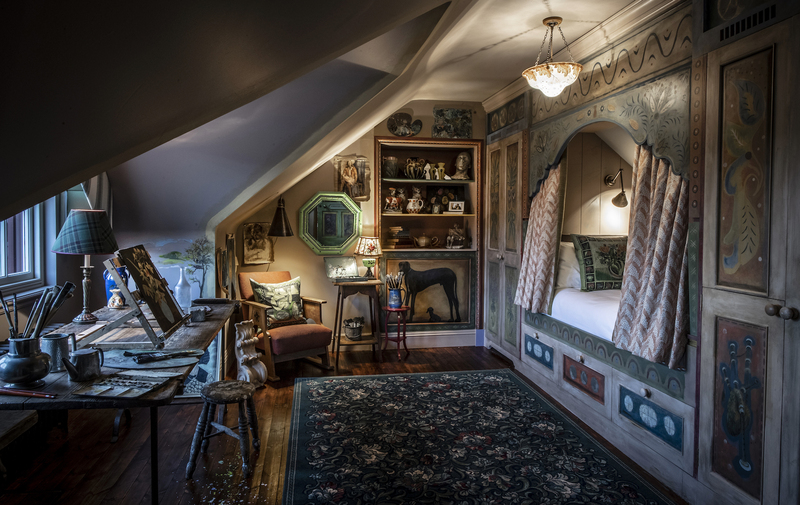 A one-off accommodation inspired by the Bloomsbury Group, the room features hand-painted walls in the bedroom and bathroom with a cabin bed. 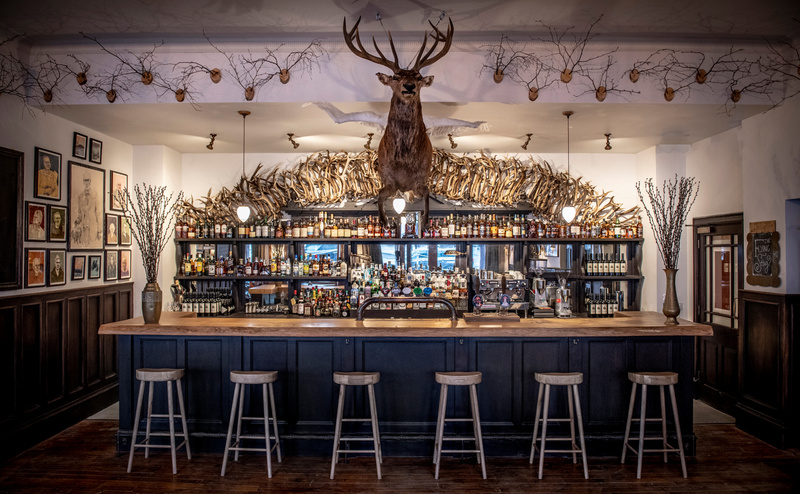 Eat drink and be merry at the Flying Stag bar, full to the brim with character and frequented by locals and hotel guests alike, the public bar offers classic Scottish dishes, real ales, a selection of over 150 whiskies and of course live local entertainment. 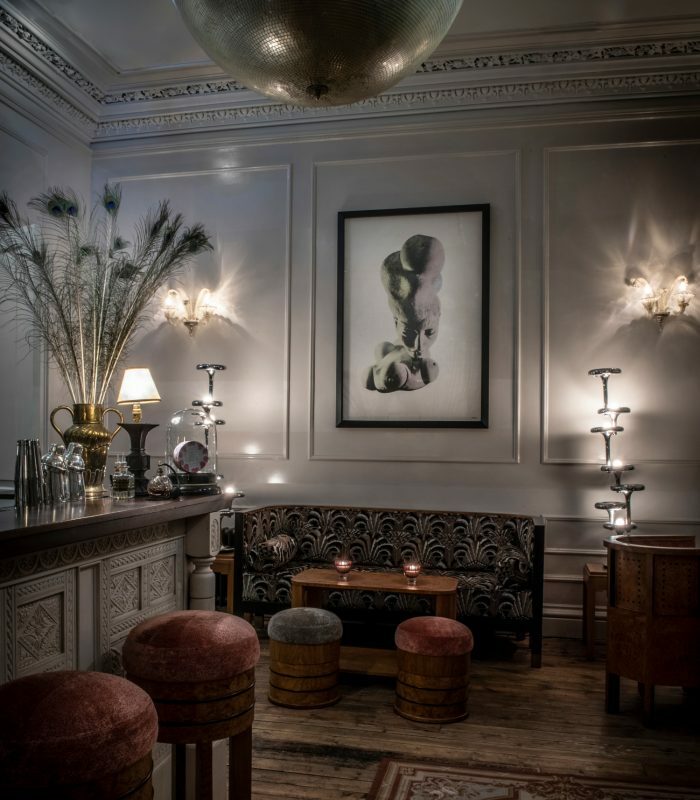 Elsa’s is an art deco cocktail bar created in honour of the fashion designer Elsa Schiaparelli who was a regular visitor to Braemar and is the perfect spot for a pre-dinner drink or nightcap. 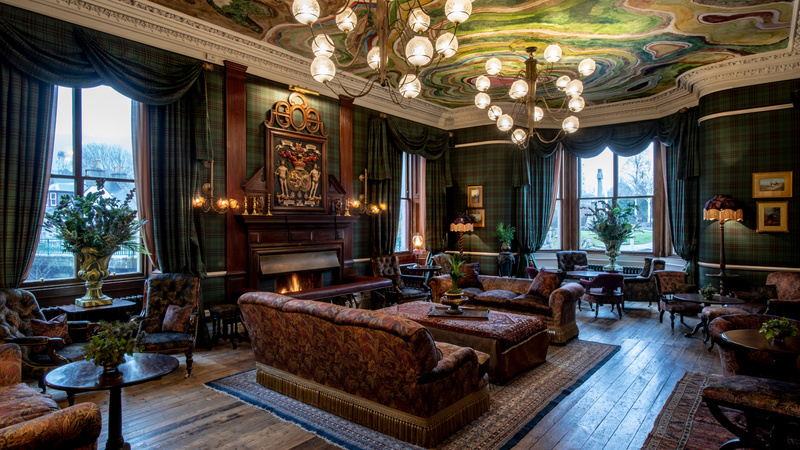 The Fife Arms also has a Drawing Room which has tartan covered walls and a ceiling featuring work by leading Chinese artist Zhang Enli where you can enjoy a morning coffee and afternoon tea. The Clunie Dining Room showcases wood-fire cooking and seasonal Scottish produce in a room painted by artist Guillermo Kuitca. Just a 1.5 hours from Aberdeen and Dundee train station and airports, The Fife Arms is the idyllic Scottish escape with so much to explore and discover. For more information or to make a reservation visit the website here.